This insulated chest holds 80-90lbs of ice cubes just waiting to get shaved & served!! Heavy duty 6" casters for easy moving to where you need. Includes a side shelf and drain valve. Must ship by frieght truck ship weight 53lbs. 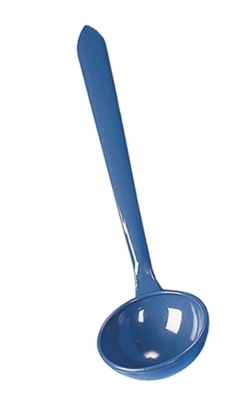 This item ships seperately from Cincinatti, OH. 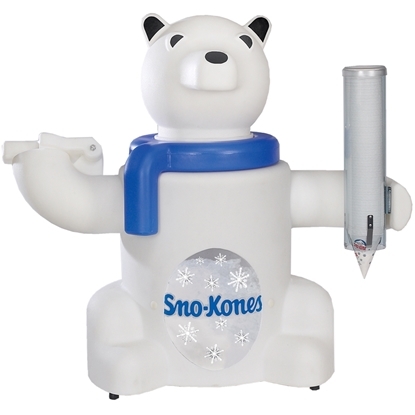 Sno-Kone Machine not included in price. 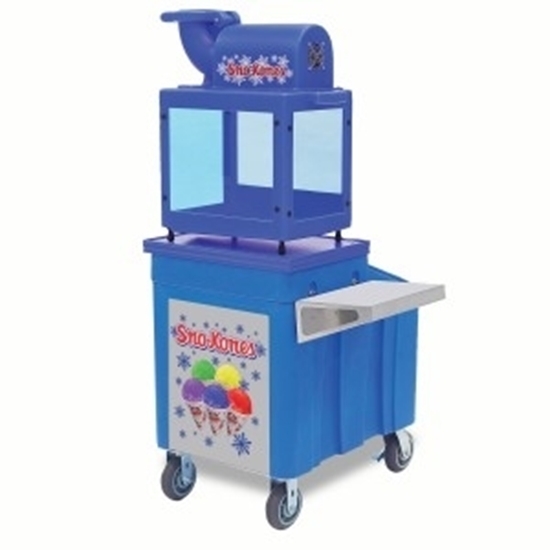 Compact, high production, 1 piece plastic Sno Kone Machine with built in ice pan. Light weight makes this unit the easiest to move around. UL Sanitation listed. 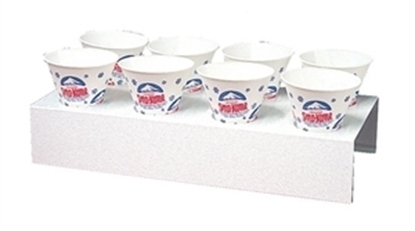 Perfect for Rental Stores or movable locations. It's hard not to get noticed with Polar Pete. 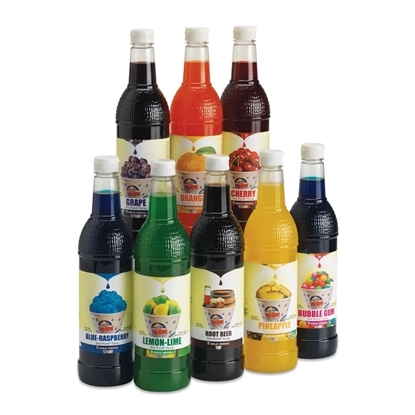 This attractive, cool design will increase sales & profits,and encourage repeat sales. This is one hard-working bear!